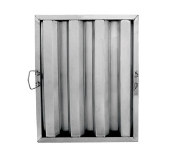 $1750.00 10 foot stainless steel grease hood. 48 inches front to back. 24 inches top to bottom. Comes with filters, lights, and Pyro-Chem fire suppression system. 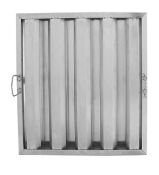 Call for shipping quote 770-925-4858 16x20 Stainless Steel Hood Filter, $35 call 770.925.4858 for shipping quote. 20x16 Hood Filter, $35, call 770.925.4858 for shipping quote. 20x20 Hood Filter, $40, call 770.925.4858 for shipping quote. $600.00 USED Stainless Steel Restaurant Hood. 6 ft Wide by 48 inches front to back . Call for shipping quote . 770-925-4858 $5000 Heat Hood Ten foot by five foot front to back Stainless steel Used for bakeries and pizzerias Call 770-925-4858 for shipping quote $600 6 feet long, 48 inches front to back, 24 inches top to bottom. This for the hood alone; if you need exhaust fans, fresh air fans, or fire suppression systems, I have them available separately. Call 770-925-4858 for shipping quote.